Transition lenses or Transition glasses are photoc hromic lenses that quickly adjust the colour of lenses and adapt in changing light to protect from sun’s rays. Meaning they change colour according to the sun. If it’s hot and sunny, it can turn very dark like sunglasses. If it’s cloudy, then it’ll turn a slight dark shade. 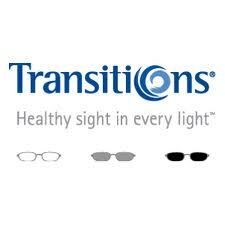 Transition Lenses the Best Photo chromatic Lenses and this helps your eye to be less strained and reduce eye fatigue. Another advantage is you don’t have to carry 2 pairs of glasses, one being your clear prescriptive glasses and another prescriptive sunglasses. This way you lower your chances of losing your glasses as you’ll only wear them and not carry them around. As the lenses change color according to the UV rays, thus it’s very natural on the wearer’s eyesight but the lenses won’t be very effective in the car as car window nowadays are installed with UV-blocked tint which makes it difficult for transition lenses to change color. The transitions glasses are now on the 6th generation technology which changes color faster and darker compared to the previous generation. The lenses transition from clear to dark takes only a few seconds and from dark to clear takes less than 30 seconds. Thus this lenses is very convenient to wearer. Many reputable brands such as Zeiss, Essilor and Hoya offers their lenses with this transition glasses or transition lenses option. They can be prescribed to wearer who are short-sighted and long-sighted. 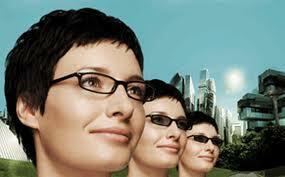 It even comes in progressive multifocal lenses. These lenses are made from plastic or polycarbonate material . Polycarbonate transition is highly recommended to children and active outdoor sportsman as the material is much tougher and shatter-proof which makes it safer to be used. Transition Lenses the Best Photo chromatic Lenses will block 100% of UV rays and this helps in long term health and well being of your eyes. So what are you waiting for? Go get one for your precious eyes today as your eyes are the window to the world at Malaya Optical.